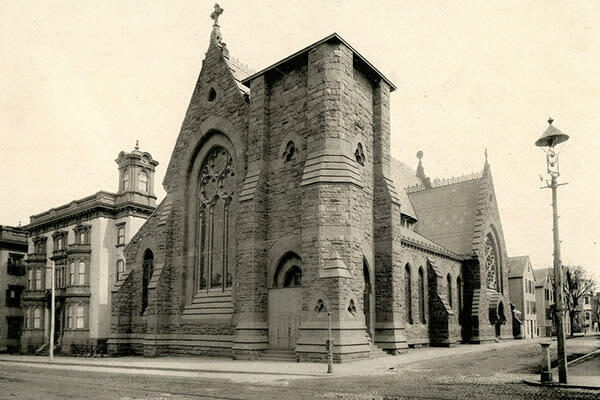 All Saints’ Memorial Church is one of the few churches that remain of the religious communities that climbed up “Christian Hill” as Providence expanded westward. 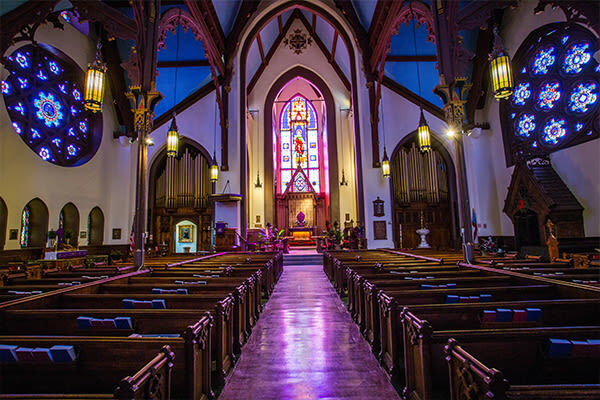 All Saints’ Episcopal congregation was formed as St. Andrew’s in 1846 but relocated here in 1868 with a new name to honor Bishop John P.K. Henshaw, the first independent Bishop of Rhode Island. 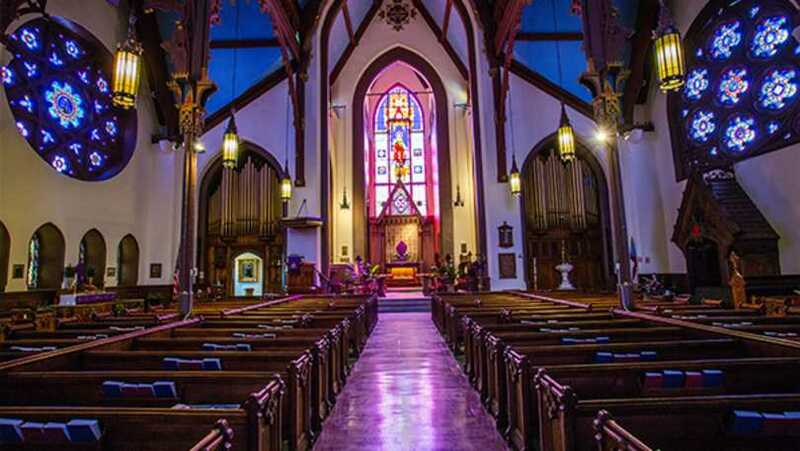 Edward Tuckerman Potter’s Gothic Revival design was left without a tower due to financial difficulties, but the interior features some of Providence’s most remarkable stained glass. Today’s congregation embraces the diversity of the neighborhood, including many from Providence’s strong Liberian community.